These muffins, guys. These muffins… They’re out of this world, I tell you. 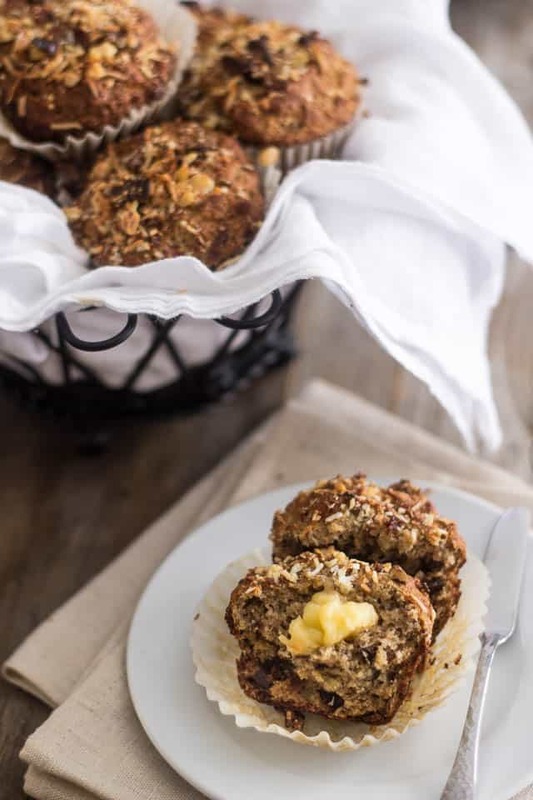 Plain and simple, they’re the best Banana Walnut Muffins I’ve ever had. 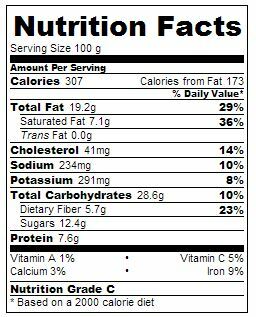 As I was eating them, could not believe that they were paleo and entirely free of refined sugar. I could not. I almost wanted to cry tears of joy with every new bite that I took. Especially when they were still warm from the oven! That said, I nearly had a heart attack as I got ready to write this post and couldn’t locate the recipe anywhere. I frantically launched many folder searches which, for some obscure reason, would return all kinds of results except THE ONE I was hoping for. Finally, as a last resort, I hit the “Start” button, typed the word BANANA in the search field and skimmed through the hundreds of files that popped in the “results” window. I swear, I think it went in stealth mode there for a while. But what a sigh of relief I sighed when I double clicked that file and saw the screen project my precious recipe, complete and unharmed. What a major waste it would have been for me to lose this recipe! A disaster, even! The simple thought of never being able to replicate these muffins exactly as I’d known them almost made me want to cry, tears of sadness this time. I was panicked, I tell you. PANICKED. 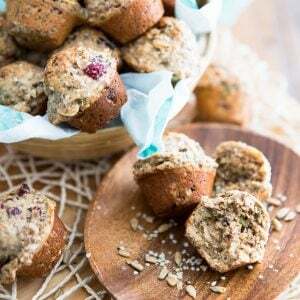 Oddly enough, it almost seems as though this recipe did not want to be immortalized… When I decided to whip up this batch of muffins, all I really wanted to accomplish was use up some very ripe bananas that had been sitting in the fruit basket for a whee while too long. I wasn’t really planning on logging this and at all. So I didn’t take pictures of the process or anything. I didn’t even use fancy bowls! Still, thank goodness, I wrote down the recipe, just because… this was my first go at making paleo muffins and I thought it would be a good thing to take notes. But then I tasted the batter. OMG! I totally flipped and KNEW these would turn out fantastic and I’d wanna share the recipe with you. Without another second wasted, out came the camera and props: these puppies were going to be officially and publicly cataloged. Oh maaaaaaan, I’m salivating just thinking about it. I so badly want one now! I have to say, though, that these muffins are at their extreme bestest best when slightly warm. As such, I strongly suggest that you pop them in the microwave for 30 seconds to revive their “fresh out of the oven” fluffy warm goodness, then top ’em with a little bit of Ghee or Raw Cashew Butter. You’ll feel like the world has suddenly come to a complete halt, guaranteed. Preheat oven to 375F and line muffin pan with 12 large parchment paper cups. 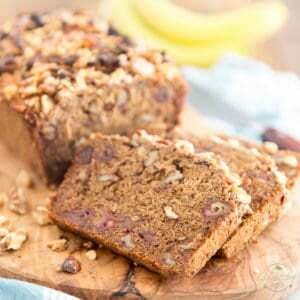 In a large mixing bowl, mash bananas with a fork and whisk until slightly frothy in consistency. Add eggs and coconut oil and mix until well combined. Set aside. 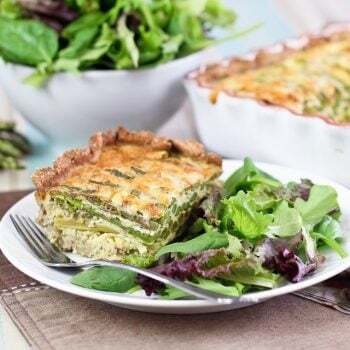 In a separate bowl, mix almond flour, tapioca starch, coconut flour, shredded coconut, cinnamon, baking soda, cream of tartar and salt until fully incorporated. Mix in chopped walnuts and chopped dates. Add reserved mashed banana mixture and mix delicately with a wooden spoon or rubber spatula until well combined, without over-mixing the batter. Divide between prepared muffin cups. 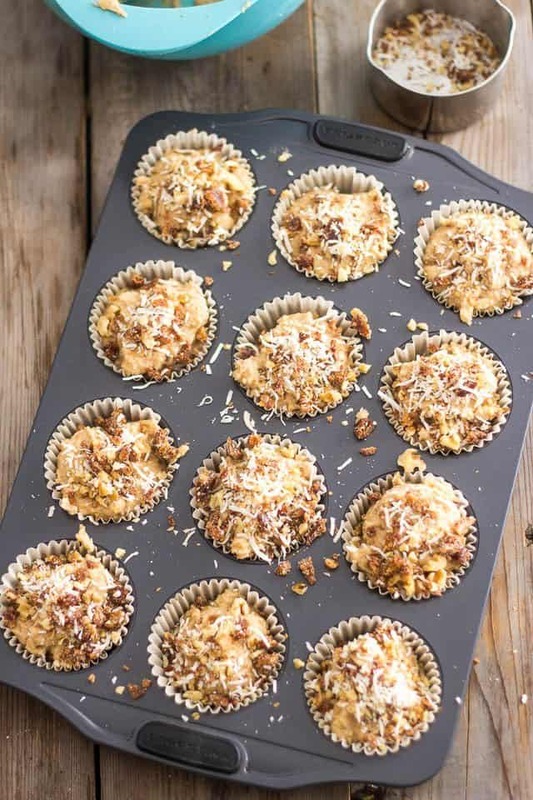 Mix the chopped walnuts, dates and shredded coconut listed under "Garnish" and sprinkle over each muffin. 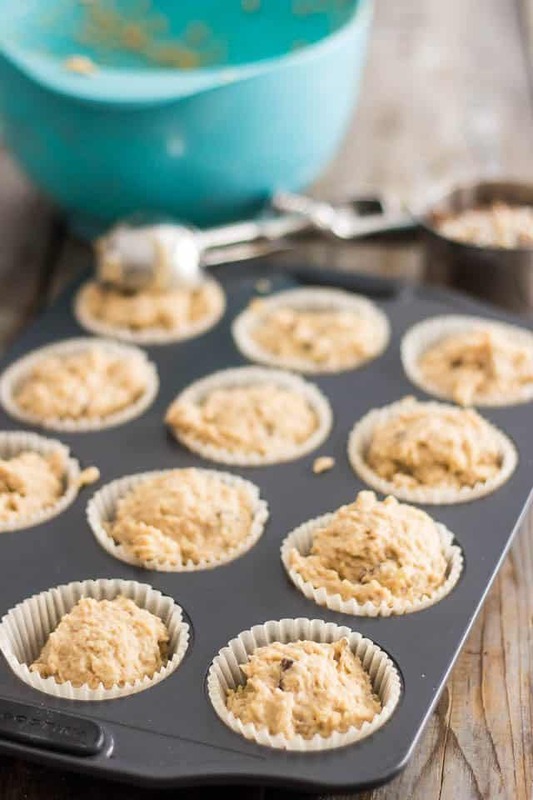 Bake in the oven for about 20-22 minutes, or until a toothpick inserted in the center of a muffin comes out clean. Topped with a dollop of creamy organic ghee. Who could resist this? That’s why I like to print out my recipes (sometimes I even write them down); because no matter what they say (they as in the IT people) a hard copy is still safer than a soft one. You can call me old fashion if you want, but I’d rather go through a stack of papers than a stupid search on my Mac. These look soooo delicious!! 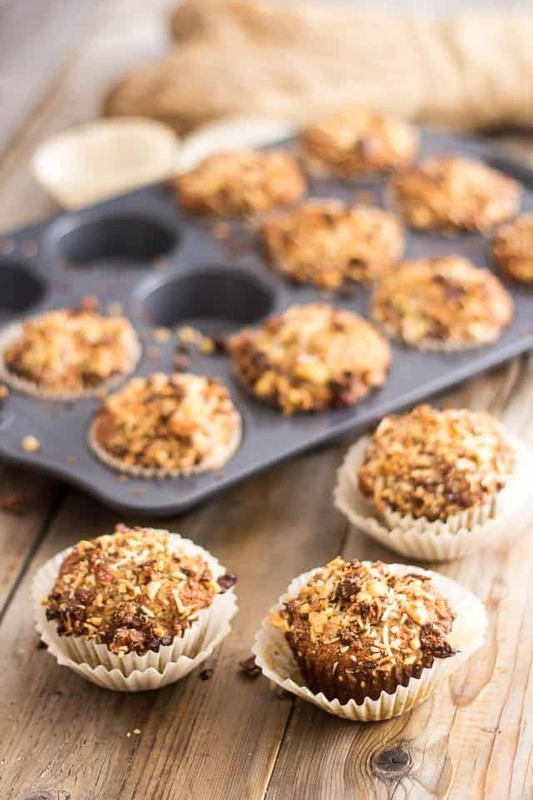 I am always looking for a better, healthier muffin recipe and I cannot wait to try these!! ….And I have 15 bananas on my counter…don’t ask…I don’t know what came over me at the store. These look so yummy! Kind of wish I didn’t see the nutritional information… But they looks so tasty nonetheless! Well, I really hope you like these, Krista. And please, please, share your impressions if you end up trying them. I’m real curious to find out what you think of the texture! These are seriously the best muffins!!! 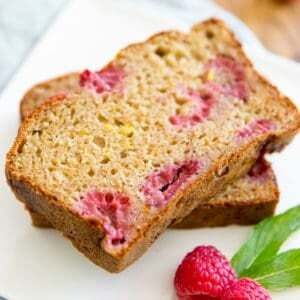 I have tried several gluten free muffin recipes and I gave up because I didnt like the texture. I’m so glad I tried these. You found the perfect flour combination. Thank you! I am so excited to have a great tasting muffin! Have you ever tried freezing them? Thank you so much for this great feedback, Lisa, I truly appreciate your taking the time to share this! Is there a replacement for cream of tarter? I don’t have any…can I just use more baking soda? Unfortunately, the cream of tartar is used as a leavening agent and works with the baking soda to create a baking powder, so to speak. I’m not sure what the consequences of leaving it out would be… you could try using lemon juice or vinegar instead, or if you do consume grains, you could simply use baking powder instead of the cream of tartar and baking soda. I want to make these but don’t have any coconut flour. Could I just add extra almond meal? Not sure, Jemma… without trying it first, it’s hard for me to say but if I were to do that, I would use close to a full extra cup of the almond meal instead of the coconut flour. Or maybe do 3/4 cup almond meal and up the tapioca starch by 1/4 cup. Let me know how it turns out if you end up giving it a try! 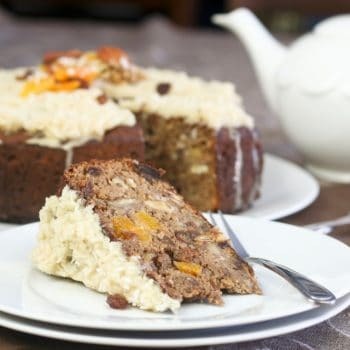 This recipe is light, no fuss & quite tasty with the additions of dates. The only change I made to this recipe was to substitute arrowroot flour for tapioca flour. Just sweet enough to call these a treat. Thank you for posting! 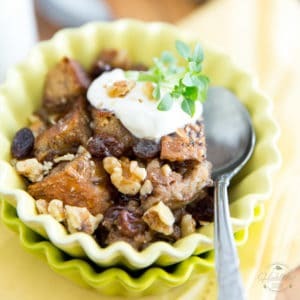 i make these for my breakfasts for the week and they are sooooooooooooo good (minus the walnuts) and easy to make. i am going to just add more dates instead and i don’t use the extra topping. thanks for this recipe! I was a little disappointed with this recipe. It was a lot of extra work and ingredients for the sake of texture. 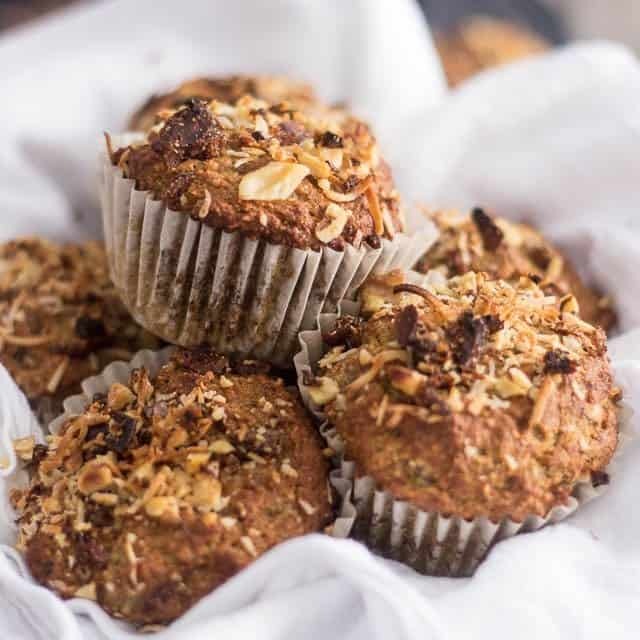 I have made a lot of paleo muffins, and while I agree the coconut flour doesn’t stand out here, I think you could get a similar taste with fewer ingredients and steps. I mean, who has time to sift? I DO think it makes a difference when sifting the flour and it wasn’t too much extra effort – in my opinion. If I didn’t have time to sift I would have just made them without sifting and my guess would be to just get a bit more dense crumb. But I’m sure the taste would still have been amazing! Made them for a brunch with girl friends this AM and they were a huge hit! 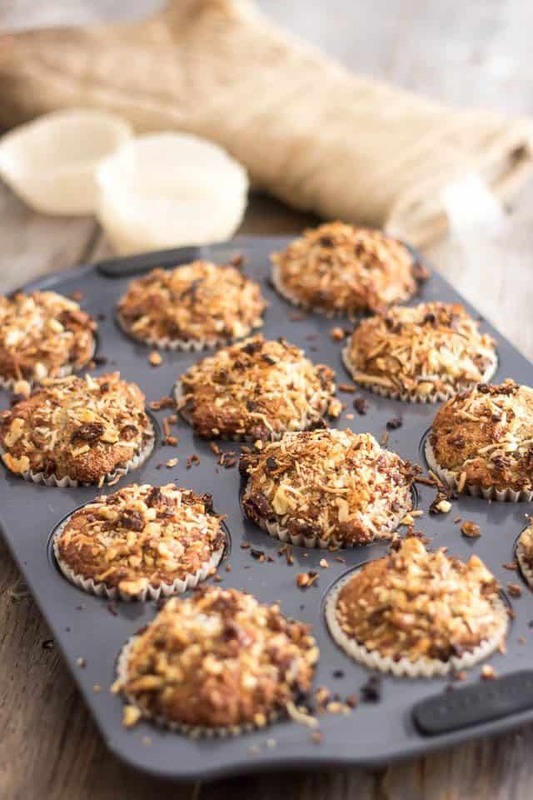 By far the best GF/Paleo muffins I have ever made, they rocked it! 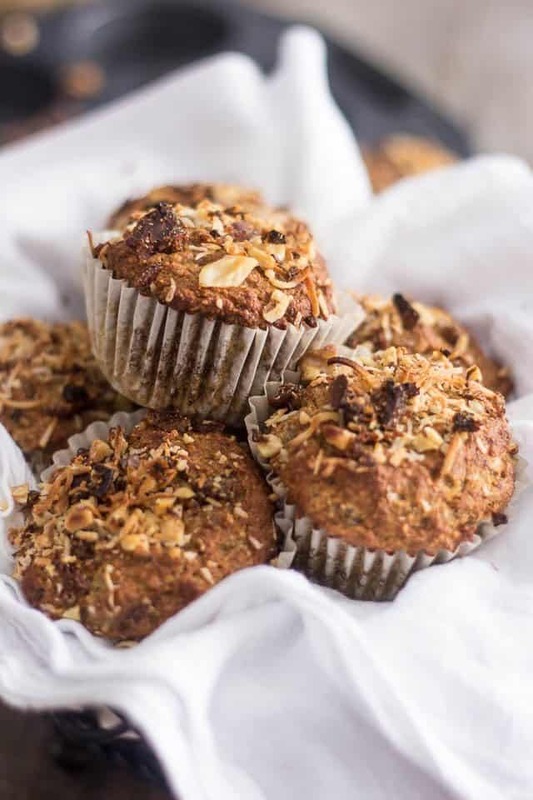 I followed the recipe exactly and I have to say this is hands down the BEST paleo muffin I’ve ever tasted. I also followed your advice and ate one a few minutes after taking them out of the oven, while they were still warm. Excellent! Thank you for this recipe! So light and moist, I’m in Australia..I’m assuming you’re in U.S. I used our standard measuring cups/spoons and these have turned out delicious. 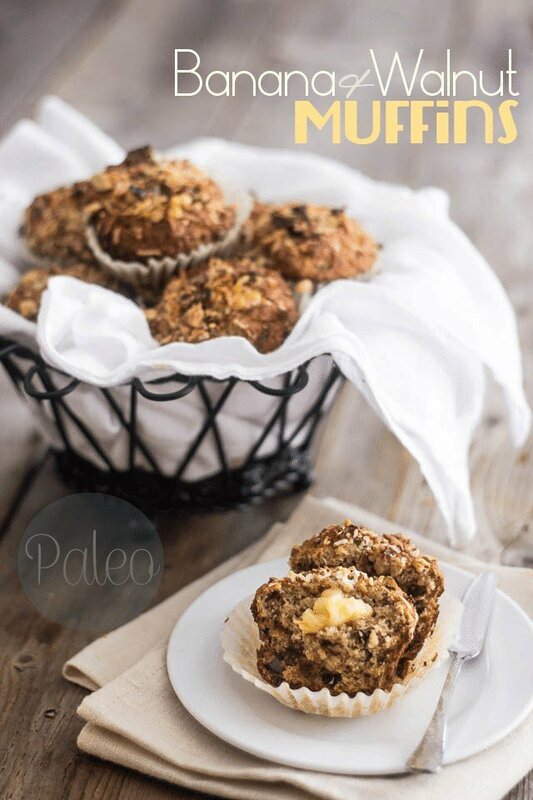 I’ve only just started Paleo and have been having sweet cravings these muffins have completely hit the spot. I cannot wait to try your other recipes…. I stumbled across your website last night while trying to find a paleo chocolate tart recipe for Xmas and found yours with the cacao butter then fell asleep with that amazing cake in my dreams! Can’t wait to cook it. But today doing these coz they look amazing and like others have said I’m not a fan of just coconut flour texture, tastes soo ‘fiberery’! Have to add I’m so excited to find ur website because im not the most confident of bakers and you include all those beautiful as u go photos, makes my heart dance! Thank you so much Julie, that is very kind of you to say. You know, I often wonder about those “step by step” or “progress” pictures, because they are a lot of work and people sometimes find them annoying… but every now and then, I get comments from people like you who tell me just how much they appreciate them and it makes all that extra work very well worth the while. I LOVE these muffins, but I omitted the chopped coconut on the garnish because my daughter doesn’t like it. I am CancerThriver1~ I began the concept because i am five years cancer free, and I want to shift our thinking that you don’t just SURVIVE cancer. 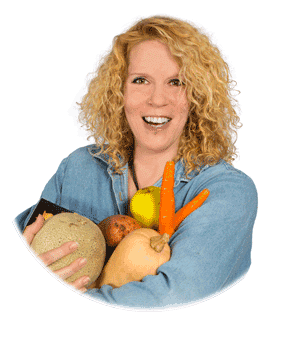 I believe that with a mindset of being a THRIVER, we can become healthy and whole beyond surviving. I just saved my cancerthriver1.com wordpress. 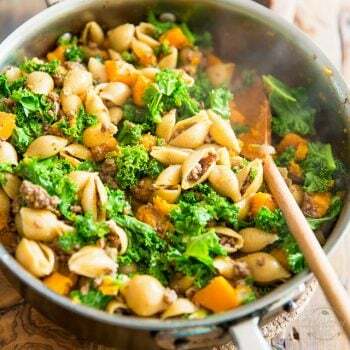 Part of my website will include fantastic recipes like this one! I’d love to learn more and get ad support to make it happen. 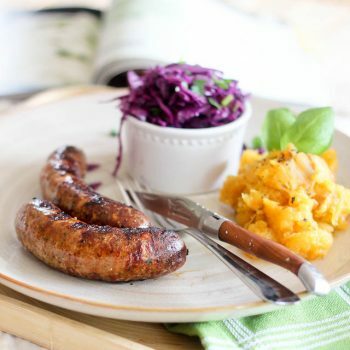 Thanks for sharing this fabulous recipe for healthy CANCER THRIVERS like me! My husband really liked these and he thinks every paleo sweet or dessert I’ve made up til now has been horrible! So thank you, thank you, thank you, these were delicious. I’ve just made another batch and they’re out of the oven now, can’t wait to eat them!! !